For the last six or seven years (vague maths!) 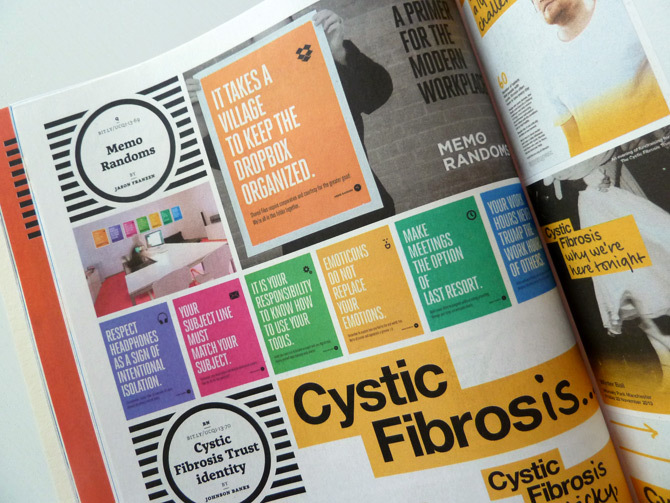 I’ve mostly been designing things which live online – so when something I’ve designed appears in print, I think I’m allowed to get a little bit excited. My London Underground depot postcards appear in a new publication, UCQuarterly, by UnderConsideration. It’s a newspaper/magazine featuring a small collection of the work featured across their network of blogs: Brand New, For Print Only, Art of the Menu and Quipsologies (which is my favourite). 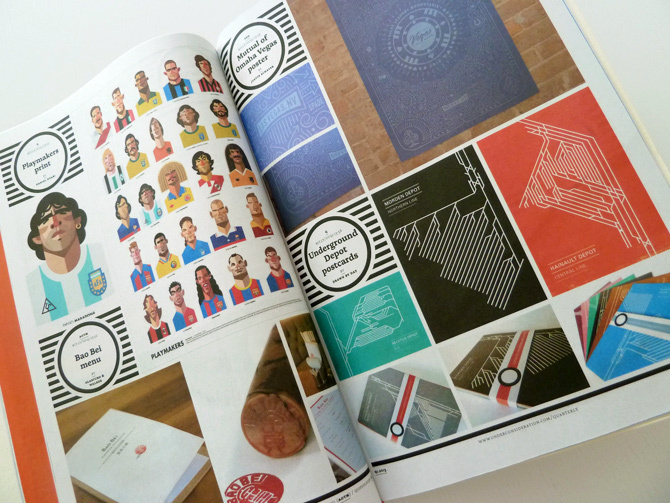 Depot postcards in UCQuarterly magazine. The publication is printed by Newspaper Club, based in the UK, so I feel a little bit guilty that my copy has crossed the Atlantic twice to get from Glasgow to London! I received it today, and it’s full of lovely things to look at. My work shares a double page with the very talented Daniel Nyari. There’s also work from Nicholas Felton, a robot calendar and some delightful memo posters by Jason Franzen. 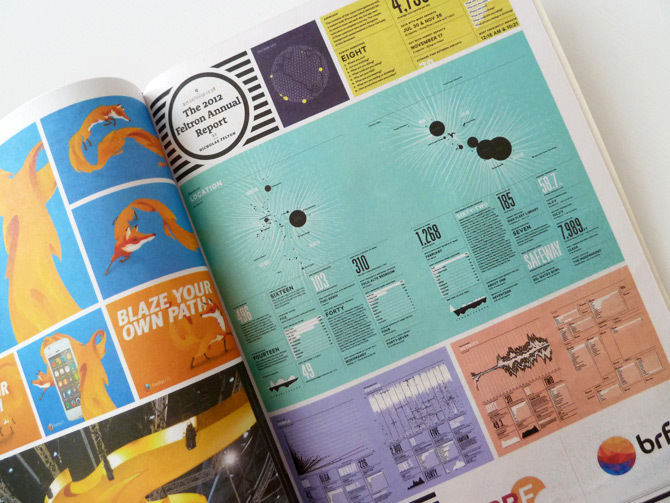 The 2012 Feltron Annual Report. 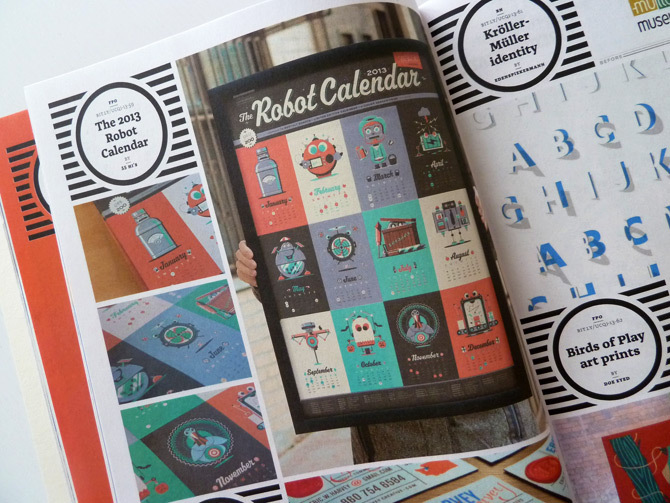 The 2013 Robot Calendar by 55 Hi’s. Memo Randoms: a primer for the modern workplace. There’s a handful of depot postcard sets still available if you’d like one!